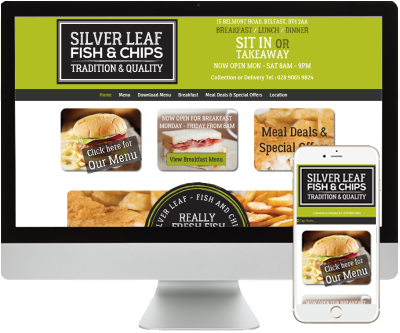 The Silver Leaf Chippy on the Belmont Road has a long established reputation for serving the finest fish and chips and other quality fast food items and is now under new management. We developed a completely mobile friendly website solution that allows customers to view the menu and either order online or over the phone. Location information is included to help visitors to Belfast find this great chippy.